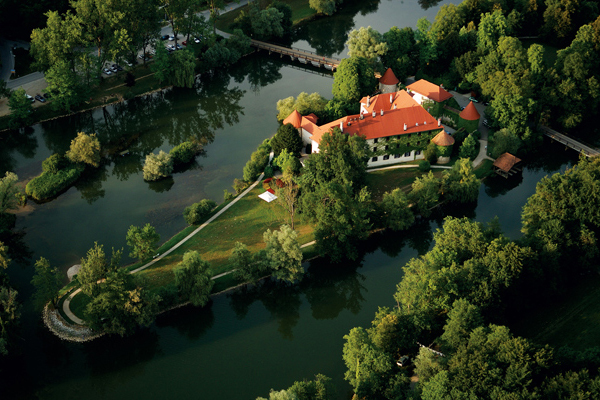 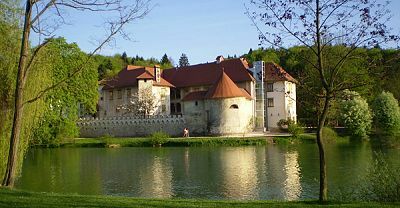 Said to have been built in the 13th century, around 1252, Otočec Castle sits on a small island in the middle of the Krka River and is the only water castle in Slovenia. 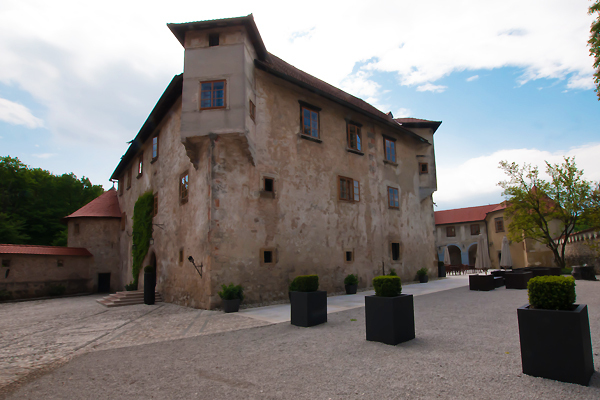 Though its foundations where built in the Middle Ages, its renaissance appearance was created by former owner, Baron Ivan Lenkovič. 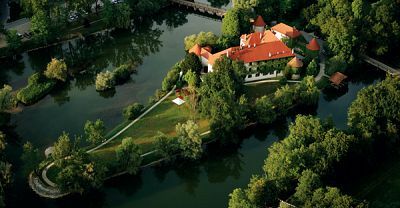 Originally a riverside castle, excavation of the river for increased security changed the natural flow and created an island on which the castle now sat. 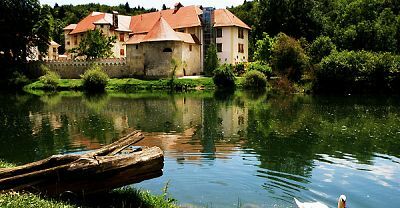 A wooden bridge then joined it to the mainland. 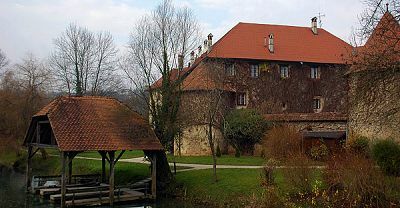 The castle was burnt during the Second World War; the furniture destoyed or scattered elsewhere; both wooden bridges to the castle were also damaged. 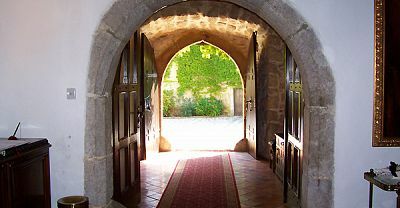 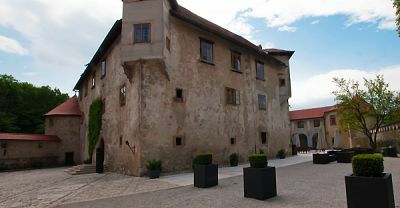 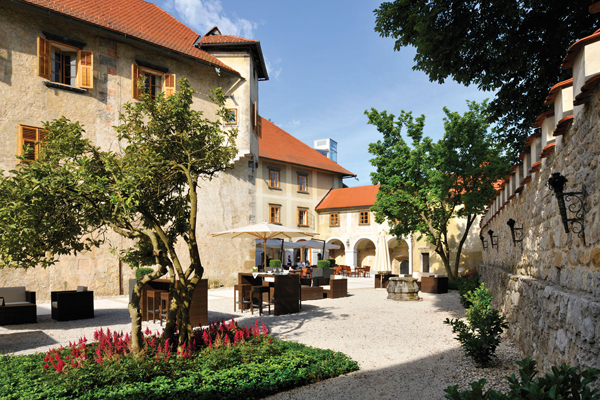 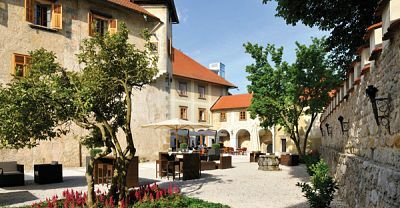 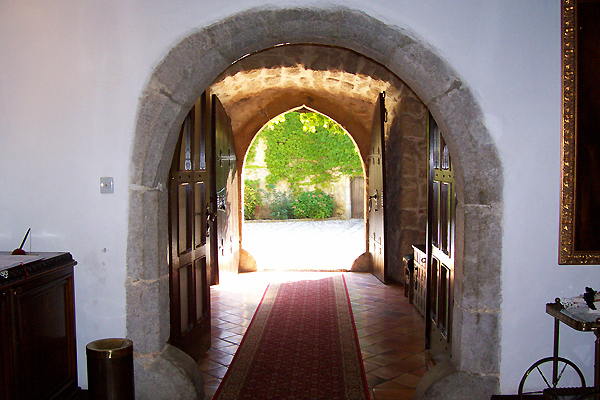 Under the supervision of the Heritage Protection Service the castle was renovated into a hotel. 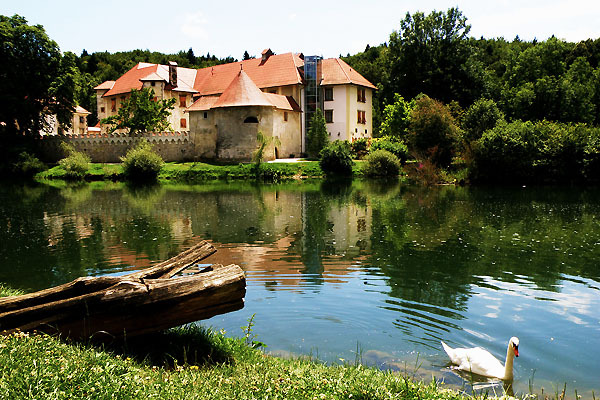 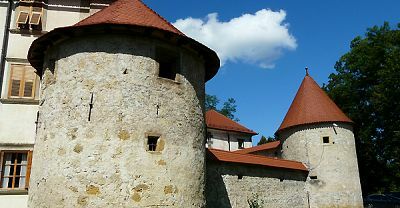 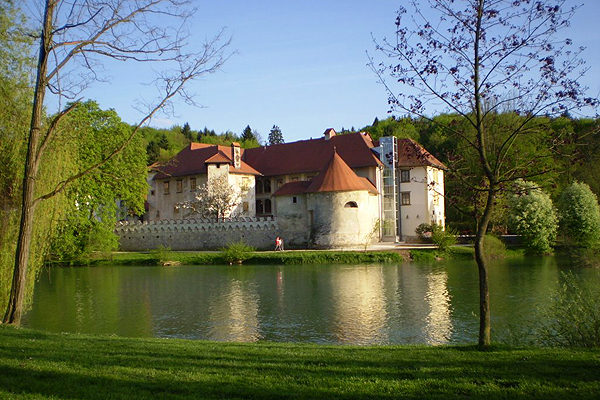 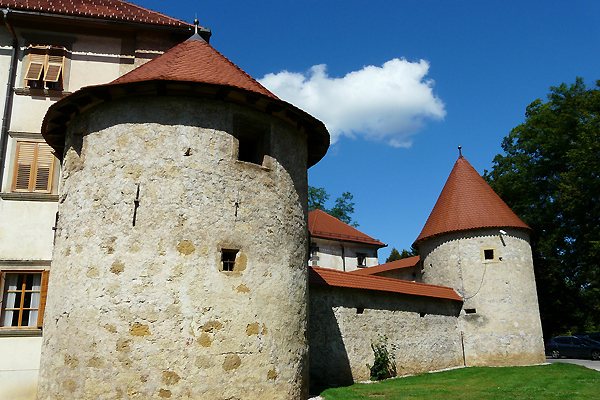 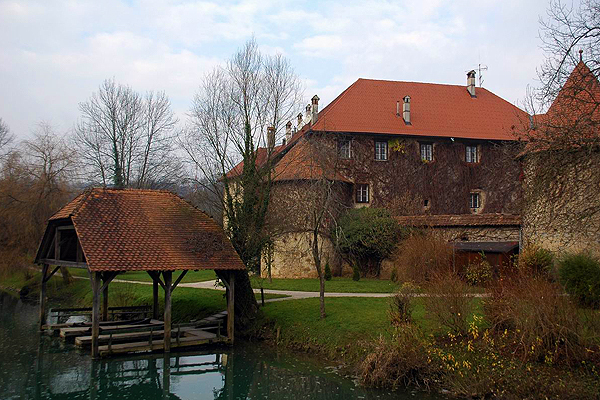 Of the castles burnt in the Dolenjska area during the war, Otočec Castle is the only one that has been renovated.